While his initial call to his prophet was met with rebellion, God graciously and mercifully offers Jonah a second opportunity for obedience. This time, Jonah, having been reminded again of God’s sovereignty and power, reluctantly submits to his divine commissioning and marches into the great city of Nineveh. This third pericope describes the obedience, albeit disgruntled, of Jonah and his ministry to the significant Assyrian city. While he was at first a prodigal prophet running away from God who was, via miraculous means, transformed into a praying prophet running back to God, chapter three describes yet another shift in Jonah: a preaching prophet running along with God. 3:1–2. The opening words of chapters 1 and 3 are identical with the exception of the replacement of “son of Amittai” with “second” (שֵׁנִית). This is, thus, a re-calling of Yahweh’s prophet by Yahweh to accomplish a divinely ordained task. Get up. As has been discussed, the upward call of God upon Jonah is an invitation to rise to the will of God and the use of God for his good purposes. With Jonah’s first response still in the back of the mind of the hearer/reader, it is with bated breath they wait to hear/see if the prophet has now learned his lesson. 1:2	God: “Get up and go!”	Jonah: Got up and went … to Tarshish? 3:2	God: “Get up and go!”	Jonah: Got up and went … to Nineveh! It should also be noted here that the upward motion of Jonah’s obedience which was started in 2:6 now continues as he walks in the will of God. “The first story of reconciliation (between Jonah and God) concludes and the second story of reconciliation (between Nineveh and God) begins” (1). This shift is only possible if the prophet submits to God’s invitation. Go to Nineveh, the great city, and proclaim to her the proclamation I am going to tell you. This re-call differs from the original after proclaim. Whereas Jonah was commanded initially to cry against her (וּקְרָא עָלֶיהָ, qārā’ ‘al) for they’re evil has ascended before me (כִּי־עָלְתָה רָעָתָם לְפָנָי), now the prophet is told to cry to her (וּקְרָא אֵלֶיהָ, qārā’ ‘el) the proclamation I am going to tell you (אֶת־הַקְּרִיאָה אֲשֶׁר אָנֹכִי דֹּבֵר אֵלֶיךָ). While opinions range on the significance of this change, Sasson has made a compelling case that the former, qārā’ ‘al, carries the connotation “to denounce” (cf. neb), whereas the latter, qārā’ ‘el, simply means “to proclaim to” (2). This subtle change in wording is perhaps for the purpose of preparing the reader for the unexpected outcome of Jonah’s mission. The proclamation I am going to tell you. 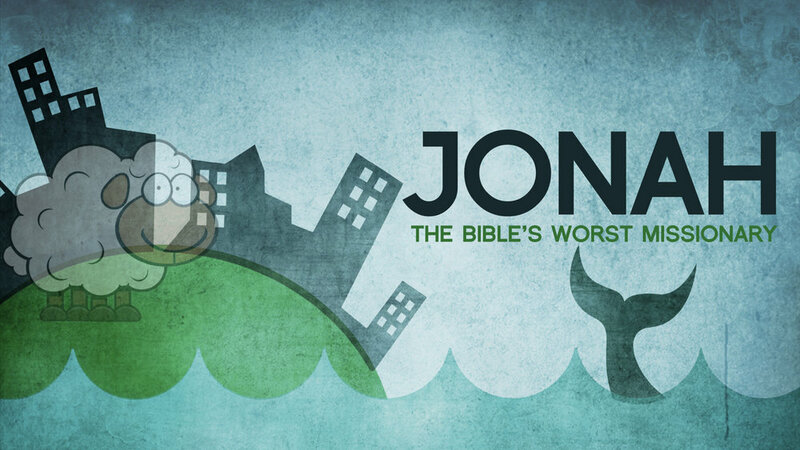 Clearly the message that Jonah has been entrusted with to relay to the Ninevites is not his own. Rather, it is a word from the mind of God. “In the first instance a clear message was given to [Jonah]; in the second a clear command to render total obedience, whatever the message might be” (3). The is a divine demand for total fidelity to the divine declaration. Bruckner, Jonah, Nahum, Habakkuk, Zephaniah, 90.